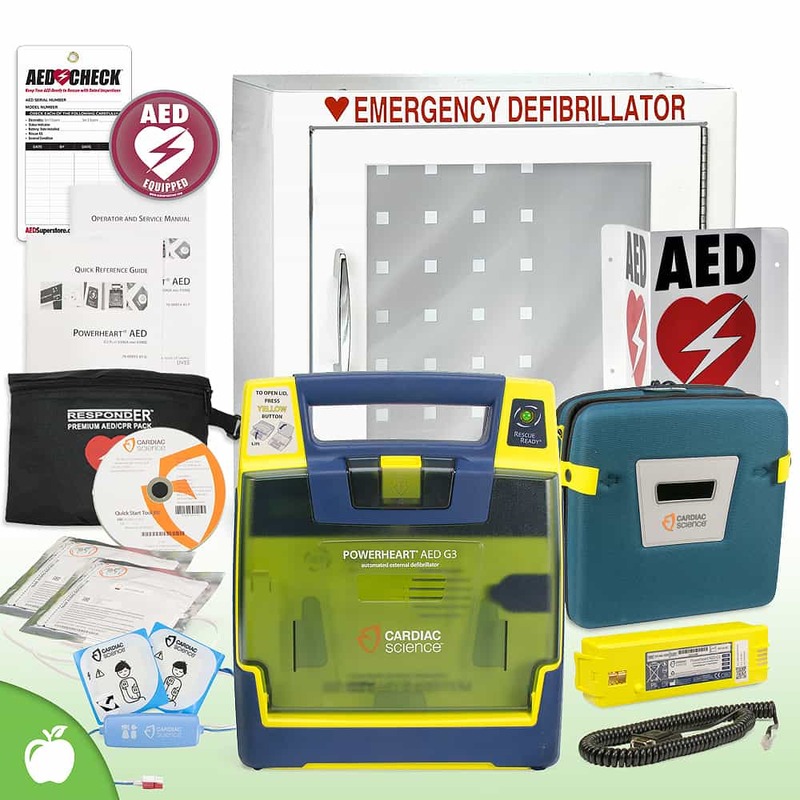 Cardiac Science Powerheart® AED G3 Plus - includes 7 year warranty, adult electrode pads, battery, quick start, and data cable. Soft Carry Case - Foam-fitted carry case to protect your Powerheart G3 AED. Pediatric Electrode Pads - Reduced Energy Electrode Pads for patients age 1 - 8, 55 lbs or less. 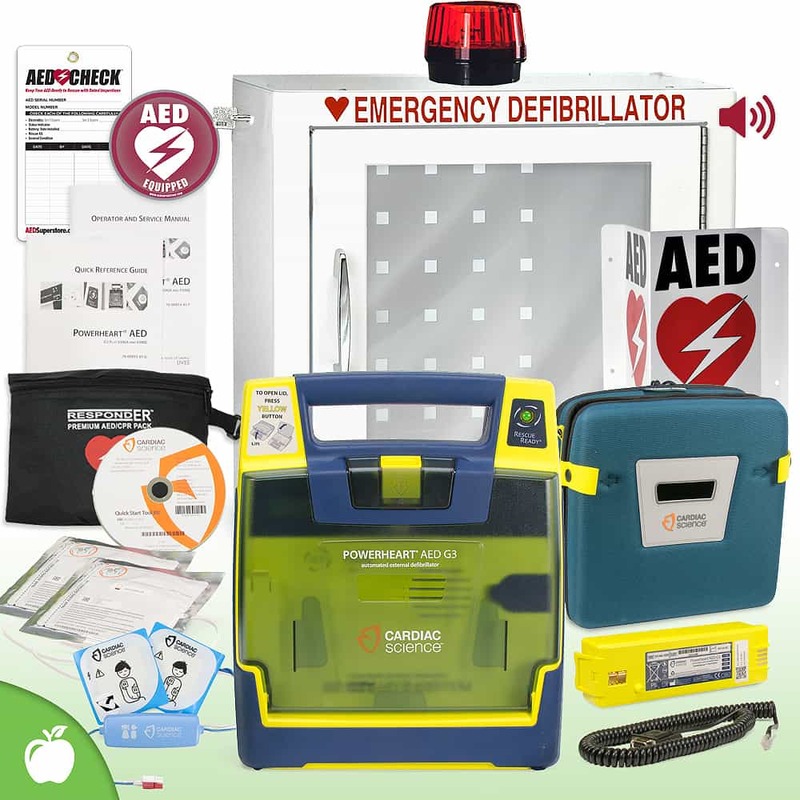 Responder® Premium Standard Size AED Cabinet - Ruggedly constructed metal surface mount cabinet, optional alarm or alarm & strobe available. The Powerheart G3 AED School and Community Value package gave us everything we wanted in one convenient group. The AED is truly outstanding and we are thrilled with its performance.